“I know what you did last Sunday,” claims the title of a new survey. Recent surveys indicate many people have aspirations of attending church but don't follow through. But online, a smaller share, 31 percent, of people surveyed said they attended church at least weekly, while a larger portion, 43 percent, admitted they seldom or never go. People who don’t attend worship but say they did may not mean to lie, said PRRI CEO Robert Jones. People respond to phone surveys as they think “a good Christian” would or should answer, he said. White mainline Protestants: By phone, 29 percent say they don’t go to church. Online, that jumps to 45 percent. Catholics: On the phone, 15 percent; online, 33 percent. Adults ages 18-29: On the phone, 31 percent; online, 49 percent. 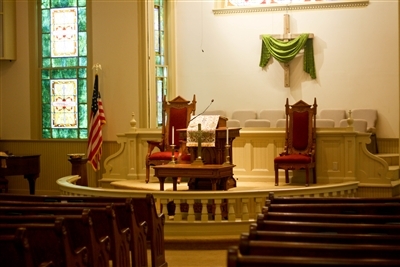 The PRRI study is an update of studies on inflated church attendance conducted in the 1990s. In those studies research teams surveyed Catholics and Protestants in Ashtabula County, Ohio, and compared self-reported attendance claims with actual head counts in scores of churches. Since there’s no way to do head counts of people not attending, PRRI found a contemporary technological approach: two different survey formats. Both surveys of American adults were conducted in 2013, with 2,002 people interviewed by cell and landline and a demographically comparable group of 2,317 who answered questions online. People don’t even have to be religious to inflate claims of religiosity, PRRI found. Those one in five Americans who are “nones” also may feel greater pressure to fib because “they are the farthest outside general social expectations,” said Jones. On the phone, 73 percent of “nones” say they seldom or never attend, but 91 percent say so when interviewed online. In the overall study, 19 percent of adults answering online said religion was not important to them; only 13 percent said so on the phone. However, among the “nones,” the gap on the importance of religion was markedly wider — 49 percent on the phone, compared with 73 percent online. -- Cathy Lynn Grossman writes for Religion News Service. Copyright 2014 RNS. All rights reserved. No part of this transmission may be reproduced without written permission.